Glamorgan Cricket have recorded an operating profit of £592,837 for 2015 thanks to staging an Ashes Test match between England and Australia. The profit contrasted with the loss of £87,030 the club made in 2014. Glamorgan also benefitted from nearly £11.5 million being written off by its main creditors. Cardiff Council, Allied Irish Bank and former chairman Paul Russell all agreed to the club's plan aimed at stabilising its finances. The local authority accepted a proposal to write off £4.4 million, or 70 percent of the money owed by Glamorgan. Allied Irish Bank also agreed to receive only 30 percent of the money owing to it, while Mr Russell settled for 25 percent. The figures were revealed in a summary of the club's accounts sent to members ahead of the Annual General Meeting on 31 March. Further details are due to be revealed at the meeting. 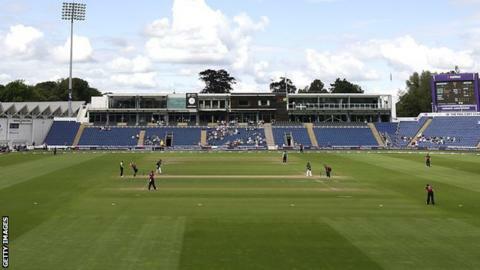 Glamorgan's SSE Swalec Stadium will host two limited-overs internationals in 2016, as England take on Sri Lanka and Pakistan. The county will also host its first major music event with a concert by Simply Red.